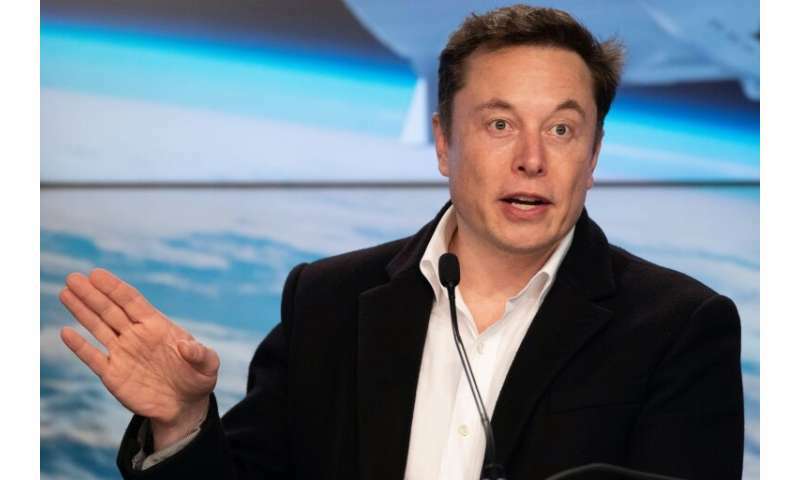 Tesla co-founder and chief executive Elon Musk and other executives will take part in presentations to investors at the company's Silicon Valley headquarters on April 19. "Tesla is making significant progress in the development of its autonomous driving software and hardware, including our FSD computer, which is currently in production and which will enable full-self driving via future over-the-air software updates," the electric carmaker said in a release. A race to get autonomous vehicles on roads has raised concerns that the technology might be deployed before it is ready, putting people at risk. China-based Tencent Keen Security Lab last week posted a video of its researchers tricking a self-driving Tesla into changing lanes into oncoming traffic by affixing stickers to the pavement in a controlled setting. "Tesla autopilot recognizes lanes and assists control by identifying road traffic markings," Keen said in a blog post. "Based on the research, we proved that by placing interference stickers on the road, the autopilot system will capture this information and make an abnormal judgement, which causes the vehicle to enter into the reverse lane." There is a small army of lawyers hoping to become rich on lawsuits involving self-driving cars. I hope Tesla doesn't fall into their trap. I'm a firm believer in self-driving cars, but there are bound to be some mistakes at first. In our legal system, if self-driving cars save 100 lives for every life it costs, then the 100 lives saved is irrelevant in the lawsuit where someone dies because of the technology.